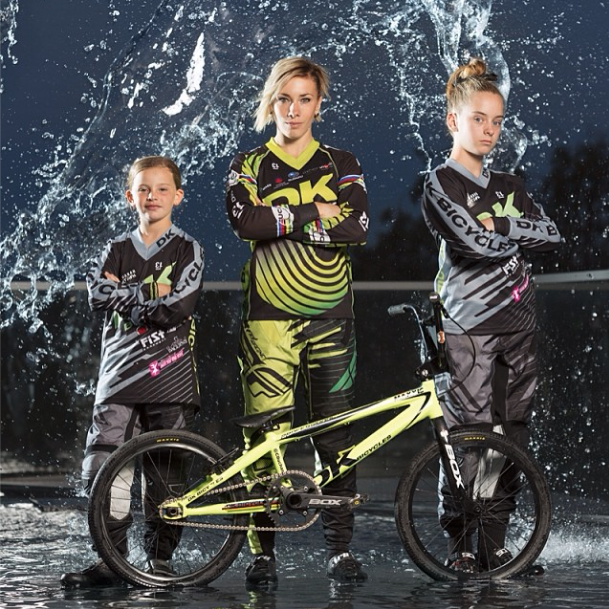 Join Caroline Buchanan supporting BMX and women in sport by launching her Next Gen team. 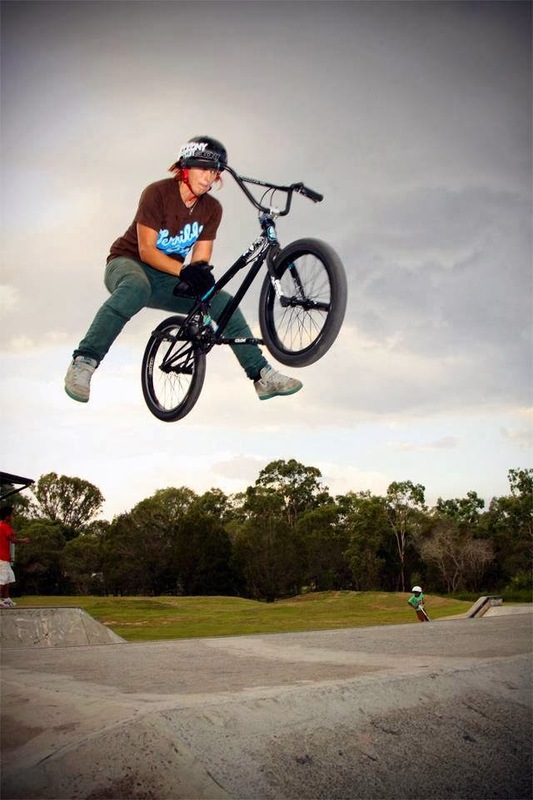 Lets enable BMX girls to race around AUS and qualify for the BMX World Championships! 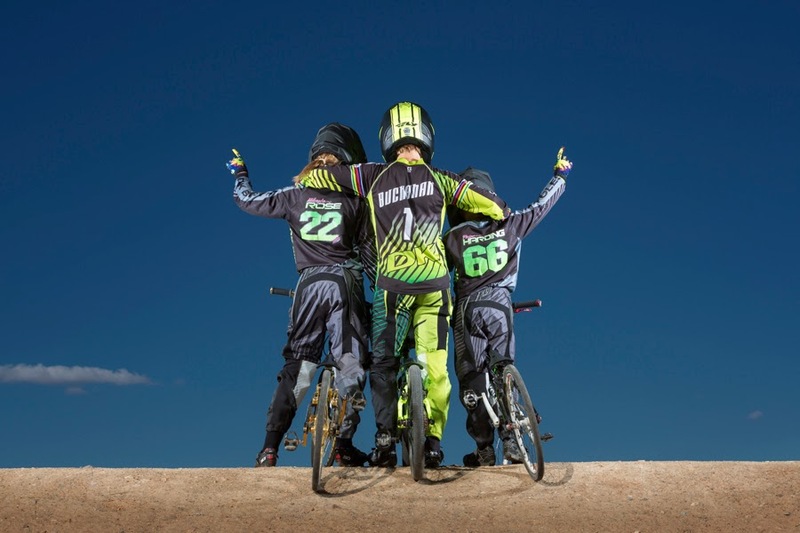 Today is the launch of my Caroline's girls BMX team; BUCHANAN Next Gen and their campaign on www.sportaroo.com. The campaign is running for the month of Feb finishing on March 1st. Be sure to not only check out the merchandise area but the sponsorship packages, details and updates. Show your support and share the campaign around. There's also a $950 frame you can buy that was used during the 2012 London Olympic Games! 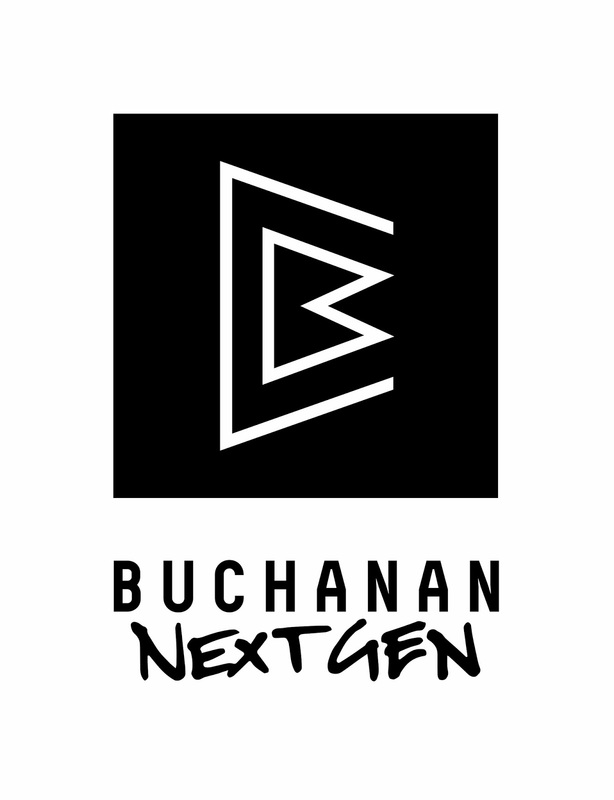 Paige Harding and Mikayla Rose are the first members of the BUCHANAN Next Gen Team! We're going to help build the future of BMX in Australia. 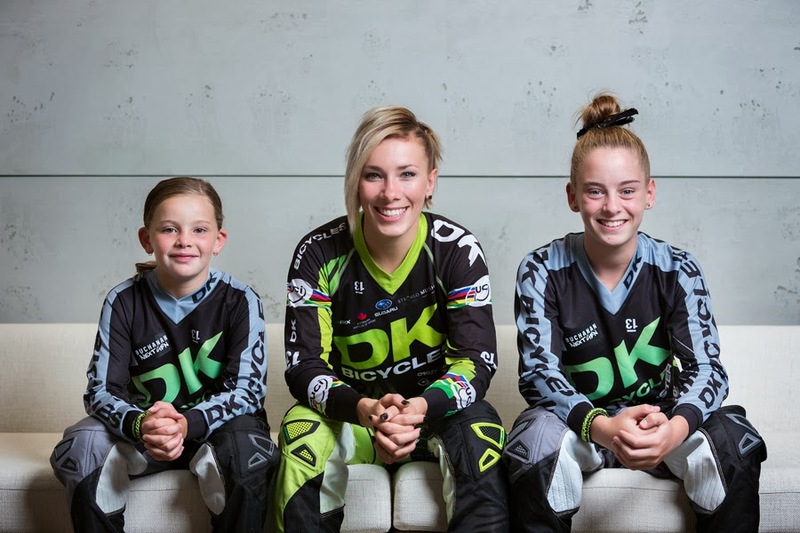 The first step is to help two incredibly talented young girls attend key races around Australia and qualify for the BMX World Championships in Holland Paige Harding 10 years old Sydney & Mikayla Rose 13 years old Canberra are Australian and World ranked already showing huge potential to be Australia's Olympians of tomorrow. Join me in giving them the best chance possible to qualify for the World Championships. As a 5 time BMX and Mountain Bike World Champion I want to give back to the sport that has taken me through an amazing journey to the highest level competing at the Olympic Games. I want to support and nurture the future of BMX and women in sport. To break the mould of sponsorship support in Australia taking it to a new level of professionalism. Help the girls to overcome adversity that is faced in male dominated sport and when aspiring to be the best in the world. Give them the opportunities to compete on the world stage and gain the experience nessecary to be champions of the future. Paige is an amazing young rider. At the age of 10 she's already been NSW and ACT state champion and shown some great skills. I'd love to give her the best shot possible to further develop, compete and pursue her dream of competing in the 2024 Olympics. Become ACT and NSW state champion again 2014. Make the Australian Mighty 11’s test match team to compete against New Zealand 2014. Podium at BMX National Championship 2014. Become NSW State Series champion again 2014. I know she would dearly love to contest her world plate in Rotterdam but unfortunately we are not in the financial position to do that in 2014 at this stage. Unless we have a successful Sportaroo campaign. Her long term goals are to become an elite BMX rider, ride the USA Grand Nationals and to make the 2024 Australian Olympic BMX Team. Trial for Qualification for the Australian leg of Mighty 11’s Test Team. Trial for Qualification for the New Zealand leg of Mighty 11’s Test Team. Depending if Paige qualifies for the New Zealand leg of the Mighty 11’s, she may also do the Victorian State Tiles. All NSW State Series rounds except for Casino – unless we need the points. All NSW Open Races except for the 3 Track Classic and NSW vs. VIC – at this stage. All local inter club challenges. All Castle Hill Club races. Mikayla is also an amazing talent. I've been keeping an eye on her performance for a while and think she really has potential. How amazing would it be if she made it to the Tokyo Olympics in 2020. Lets see what we can do to give her the best shot! Top 2 in this year’s National Champbikx Series. Represent Australia in the Senior Test Team vs New Zealand. 10 year award for attending the National Championships ever year consecutively. Be #1 female Rider in Australia in Junior Elite and then Elite. Compete at a European World Titles. Race the USA Grand Nationals. Make the Australian Olympic Games Team, Tokyo 2020. Nerang Champbikx National Series Rounds 1 & 2. Perth Champbikx National Series Rounds 3 & 4. ACT Championships at Canberra Club (Attempting to go five time State Champion). Australian National Championships Shepparton VIC. Shepparton Champbikx National Series Final Round. NSW State Rounds to qualify for the NSW Championships. WORLD Championships in Rotterdam Holland (Depending on success of Sportaroo Campaign). NSW State Titles at Macarthur. Victorian State Championships Knox Melbourne. 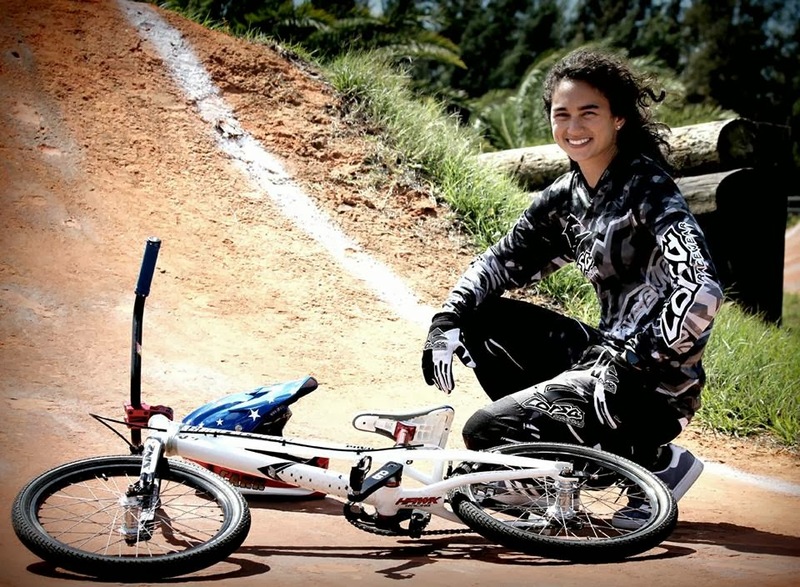 We're doing an interview soon with Thailand's BMX National Team rider, Amanda Carr! Although American born, Amanda holds a dual USA and Thai citizenship because her mother. 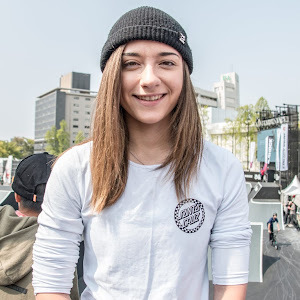 In 2013, Amanda became a member of Thai Cycling Association and the Thailand BMX National Team, giving her the opportunity to participate in the development of BMX in Thailand and throughout Asia and to compete around the world in all UCI BMX World Cup Supercross races, BMX World Championships and other UCI sanctioned events to earn nation ranking qualification points for Thailand 2016 Olympics Elite women. If you haven't accomplished anything today, the least you can do is like and follow Peta's Facebook page. PRESS RELEASE: After years of thinking about how great it would be if I could contribute in some way to help the up and coming young female BMXers, it has finally become a reality. As a five time BMX and Mountain Bike World Champion I want to give back to the sport that has taken me through an amazing journey to the highest level, competing at the Olympic Games. I want to support and nurture the future of BMX and women in sport, while I am still in the sport and to break the mould of sponsorship support in Australia taking it to a new level of professionalism, to help the girls to overcome adversity that is faced in male dominated sport when aspiring to be the best in the world and to give them the opportunity to compete on the world stage and gain the experience necessary to be champions of the future. 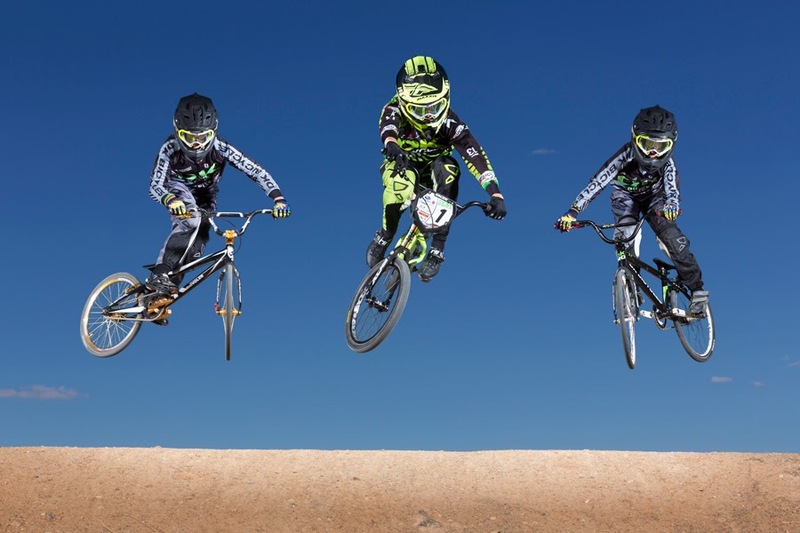 The Buchanan Next Gen Team is kicking off in 2014 with two terrific young ambassadors for the sport in 10 year old Paige Harding from the Castle Hill BMX Club in Sydney and 13 year old Mikayla Rose from my home track Tuggeranong BMX Club Canberra. Paige is an amazing young rider. At the age of 10 she's already been NSW and ACT state champion and shown some great skills. I'd love to give her the best shot possible to further develop, compete and pursue her dream to become an elite BMX rider, ride the USA Grand Nationals and compete in the 2024 Olympics. Mikayla is also an amazing talent. I've been keeping an eye on her performance for a while and think she really has potential. How amazing would it be if she made it to the Tokyo Olympics in 2020. This whole concept has been readily embraced by my mentor Layne Beachley supprting the girls through her Aim For The Stars Foundation and my sponsors. A huge thank you to DK Bicycles, Vie13, Fly Racing, Monster Headphones, Backbone BMX, Oakley, Fist Handwear, TeeNcee graphics, and Powerbar as they have enabled the team to be using the best products and truly be a professional looking team and the girls to be able to be on real sponsorship deals. During the month of February 2014 I am running a fundraising campaign through Sportaroo to help launch the team and fund the girls to some of the National Rounds, Australian Nationals and hopefully reach the tageted burget allowing the girls to attend the BMX World Championships in Holland depending on the success of the campaign. A really successful campaign will also help to buy a Next Gen team tent, create a video series, further coaching opportunities and grow the team adding more girls to the Next Gen team in 2015. Details can be found at https://www.sportaroo.com/carolinebuchanan . I hope everyone can either share the word or get behind the girls and push this team to the next level. I had some amazing help here from my cosponsors as well as BMX Australia, GSX, UCI BMX Supercross and Lake Crackenback Resort & Spa who have all donated packages to be purchased. Paige Harding #66 and Mikayla Rose #22 with Caroline Buchanan #W1 supporting the NEXT GENERATION! If you haven't yet heard about our Flatland Forward contest, now is the time to start following and supporting these female Flatland BMX riders. 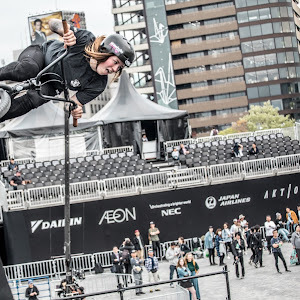 Flatland Forward is a global progression contest for females during the year of 2014. Forty female flatland riders around the globe have committed to a list of new tricks to learn. Each month we will bring you female riders from one of the many represented countries around the world competing. 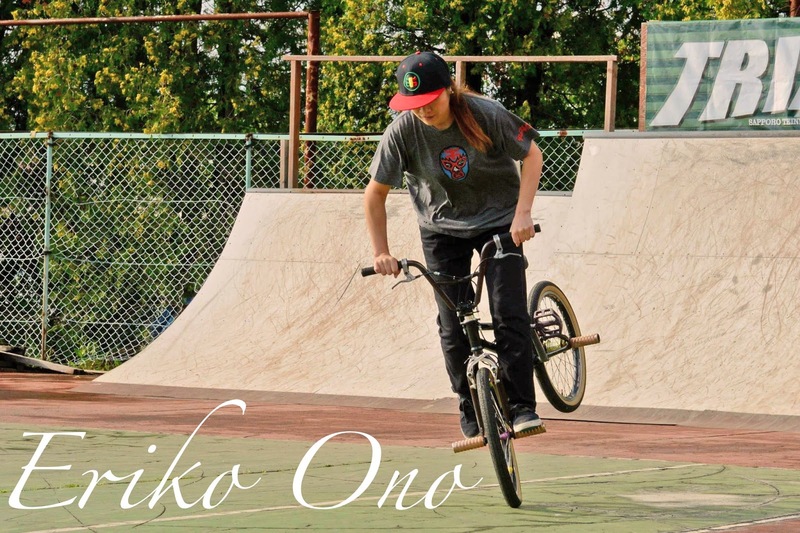 Today we bring you one of the top female flatland riders in the world, coming from the largest female flatland BMX scene in Japan! KONNICHIWA! (Hi!) I enjoy BMX Flatland & Street. My husband and I own a BMX shop called Wheelies in Sapporo. 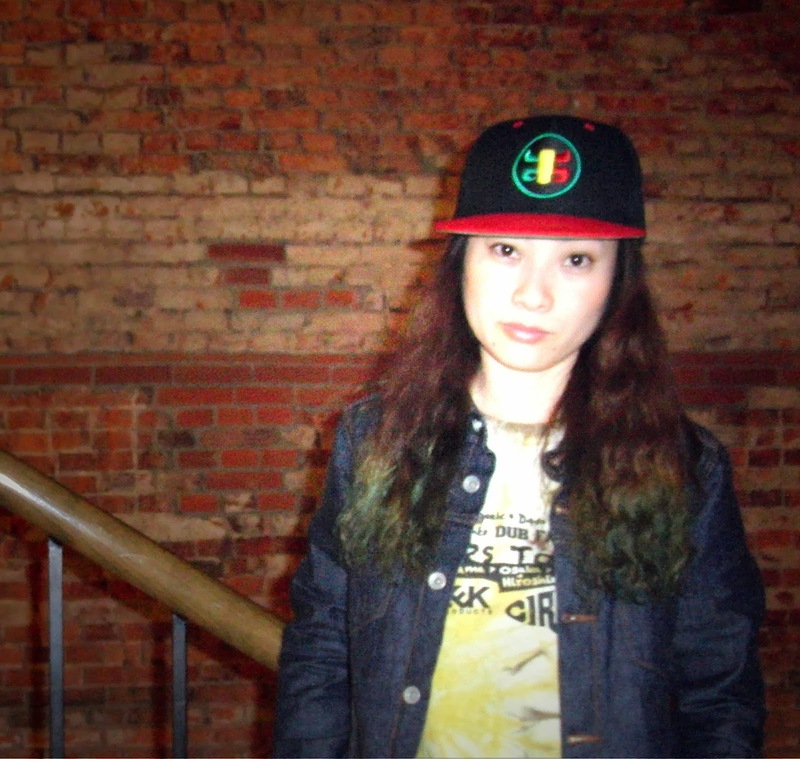 Check out Eriko and her husbands BMX shop here! Be sure to follow and support her riding! A lot of my riding buddies are doing different things now, and so they come and go like me. We had such fun riding all weekend and hanging out. Occasionally we are all in the area and meet up which is cool. What’s a good riding day to you? A good day riding for me is to feel the flow. I just like to have fun and the challenge is with me. You know in yourself when it just clicks. It makes you smile. There are so many good riders out there that are an awesome inspiration. I like riders that have good flow like Chase Hawk and Kris Fox. I just admire their ability and it makes me strive to get better. A dream sponsor would be Red Bull, Profile Racing or FlyBikes. Nike Shoes are a fav. It would be great to promote girls in BMX to encourage others to give it a go. What’s your plan in the next 5 years? I just want to have fun, never grow up, keep riding and getting better. Thank you mum and dad for buying me my first bike. It was a heavy sucker! 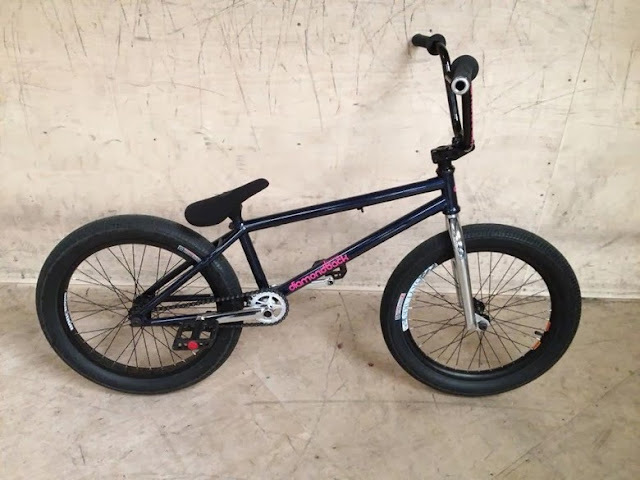 Thank you to John Buultjens for kindly giving me a awesome complete BMX bike at Jed Jam in 2010. That bike inspired me to keep riding and get better. Thank you to my partner, Levi, for always being supportive and loving bikes too. For two days only, Joyride150 will be closing off the park for female riders only from 8:00am until 12:00 noon both Saturday & Sunday on February 1st & 2nd. Ladies of all ages and abilities are welcomed. Get pumped, encouraged and learn a few new things here and there. HOW THE WEEKEND WORKS – Below is the daily schedule. In the mornings from 9-12 we will be running half-hour skills clinics. What this means is…every half hour there will be a lesson at each of the stations (see below for details on the stations.) Instructors will provide demonstrations and discuss the proper techniques for each station…and then you can give it a try! The clinics/stations are listed below in no particular order. You may visit whichever clinics you like, in any order, and participate in as many clinics as you wish. It is a very relaxed environment so you can spend your time at the park however you like. If you want to visit a different clinic every half hour – great…if you’d like to focus on one skill in particular all morning – that works too. Even if you don’t feel like hitting any clinics – just come and ride with the girls at your own pace. After lunch we will hold “Open Clinics”. That this means is that there will be no formal lesson but the instructors will be at each station ready to help you, provide feedback, and answer any questions you may have as you practice your newly acquired skills. *COME FOR SOME FOOD & DRINKS and share your highlights of the day – it’s only 1km away! 1:00pm…………………………Prizes, Give-aways & Thank you’s! 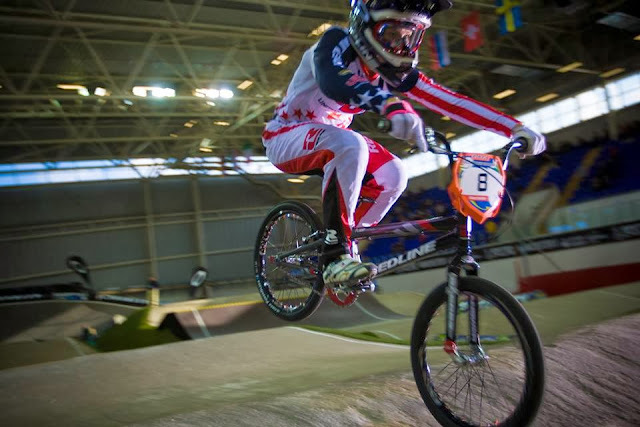 "At just 12 years old, Brett Banasiewicz's cousin Hannah Roberts is well on her way to being one of the best female BMX riders in the world! Here's her Internet debut filmed over the course of a few days at The Kitchen and Ground Zero! Vital caught up with Kaley Ashworth since joining Diamondback UK, check out what she's riding over at Vital BMX. PRESS RELEASE: SURREY, BC (Canada) — Yess Products Ltd. is excited to announce that Amanda Geving has re-signed for 2014 with the YessBMX Factory Team. “Amanda Geving has shown her skills at every 2013 National that she is truly a contender among the Elite women of the world. 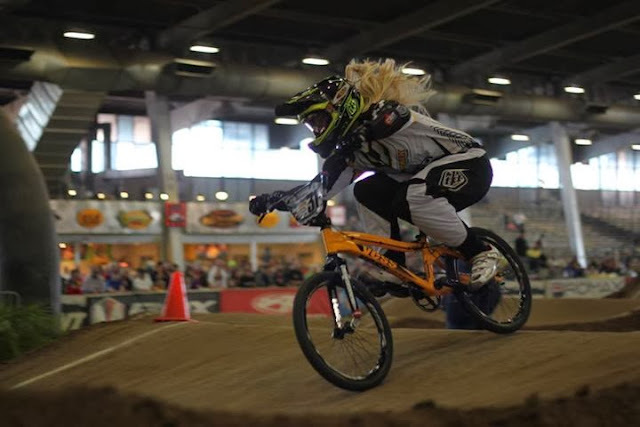 She even backed up her results with earning a third place on the Podium at last thanksgiving’s USABMX Grands, we expect big things from her in the coming years,” said Renny Husada, Yess Products Ltd.’s Brand Manager. Last year Amanda Geving swept through the SSA Florida State series with a flawless results. She became quite accustomed to the podium throughout the pro-series for the Elite Women class in the USABMX National Series. “We were really happy with having Amanda represent our Brand and with her positive image and her countless hours of giving back to the community through series of clinics and coaching sessions at her local tracks,” Husada added. 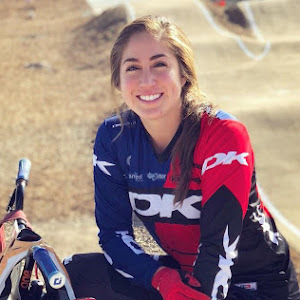 Geving has already claimed her first two wins at the SSA Florida State series at Tampa BMX on the first weekend of the year. You will be able to see her at most of USABMX National Series events. She will be riding the long awaited 2014 YessBMX Frame. Amanda Geving is supported by Profile Racing (http://www.profileracing.com/), TroyleeDesigns (http://www.troyleedesigns.com/), Dan’s Competition (http://www.danscomp.com/), Answer BMX (http://answerbmx.com/) and Tangent Products (http://www.tangentproducts.com/). Wow, been a while! Last post was October, to be exact. That’s when things started getting hectic, which is my excuse for not posting in forever. First our car got broken into at Dew Tour in SF (later found out many other riders had the same experience there) so I have been without my computer, camera, files and a bunch of other stuff since then. Also I’ve been doing finals the past couple of weeks, which has kept me extremely busy, but today is the last day! Yess! Fassssttt forward to December 30th. I’m at Woodward West for Winter Camp (I should probably post a separate blog about that) and while attempting one of my new tricks, double bars, I must of landed funny and my foot got pinned and twisted. Ask anyone, and they will tell you that I crash, a lot. But I always pop up with a smile. So when I don’t get up, and I’m not smiling, there’s usually something wrong. I honestly just thought I had a badly sprained ankle. Yeah, it hurt, and Alex (Landeros, my Alienation teammate) had to carry me to my bike so I could roll over to the trainers, but it never crossed my mind that I had broken it. I spent a few hours in the infirmary, getting iced and full of Advil while we tried to get the swelling down, and then they tried to see if I could bear weight on it but no, that was not happening. I spent the next two days hopping around at Woodward, before heading to my cousin’s in San Diego on New Year’s Eve. At this point, everyone was recommending that I get my foot x-rayed, since I still couldn’t stand on it, and there was a bump on the side that was not supposed to be there. My mom planned to bring me to urgent care in San Diego the next day, but there was no way that I was going to sit in an ER on New Years, although it could have been a really entertaining experience. I spent the next 5 days getting really good at hopping around the house, even carrying my dinner and water glass. We finally headed back to Nor Cal from San Diego and took the time on the 9 hours drive to call some local Orthos to see if we could get in for X Rays. We found one that had it all at his office (no back and forth between the hospital) and within an hour we were out the door with x rays, crutches, a boot, and a broken foot. Overall, I’d say this is the best break anyone could ask for, and I should only be out for 4 weeks. Other than not being able to ride, not having to do chores almost makes it worth it. Ha! I’m definitely not bummed at all…I guess I’ve always known it was going to happen eventually. I mean, people always ask me “Have you gotten hurt?” My reply is always “No…not yet”. It is BMX! But yeah, I got off easy for sure, and I’ll be back in no time! I must have been living under a rock, because the first time I heard about sweetheart Perris Benegas was when she released her video just a few days ago. 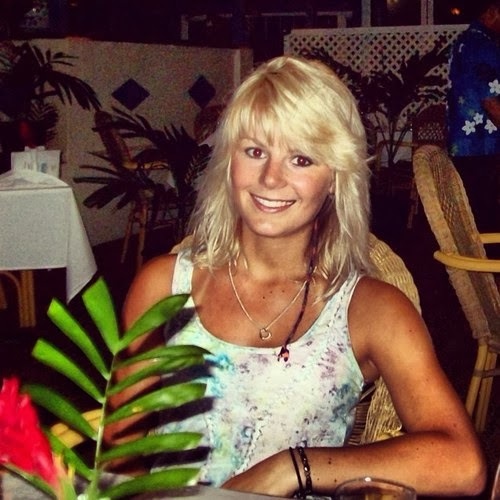 I quickly got the help of Samantha Lyons and her ultra powerful connections to connect me with this rider. How did you get into BMX and how long have you been riding? Growing up I would always watch my brother, Tyler, ride around with the neighbourhood boys and I've always looked up to him. Of course, I had to get on a bike to follow in his footsteps and I've loved it since day one. I've been riding on and off for about seven years now. Burgess Skatepark in Sparks, NV. Sometimes I'll make my way to Downtown Reno to ride some street as well. I usually ride with the Burgess locals, and over the years they have all become my brothers. What’s a good riding day to you? A day full of laughter and smiling, having a good time with my friends on a nice, sunny day at an awesome skatepark. We had an anonymous commentator that said “I don’t respect riding without a helmet” what do you have to say about that? I respect their opinion, however it is my personal choice and preference. I’ve seen some great comments where people called you an inspiration, how does that feel? Knowing that people are inspired by me is unreal. I never imagined being an inspiration for others. With that being said, it feels good to be able to be the person that people look up to. One comment in particular that stood out to me was a young father who said he showed my edit to his five year old daughter. He said that he hoped someday his daughter could meet me and he's determined to teach his daughter to ride like me. I'd love to be able to help people who aspire to be successful BMX riders. Who are your inspirations? My biggest inspiration would have to be my friend Taylor that recently passed away. Taylor wanted nothing but the best for me when it came to riding and he was always there to encourage me and help me to become a better rider. Although he is greatly missed, he's been a huge inspiration for me in pushing me to achieve my goals and he continues to determine me to progress. Who would be your dream sponsor and why? Redbull is my dream sponsor because I have always looked up to their riders and the events that they put on are awesome. It's one of my goals to participate in one of those events. What’s your plan in the next 5 years? My plan is to travel the world to ride, go to college, and most importantly to become a professional female rider. Thank you’s: I'd like to thank my friends and family. I know it sounds cliché, but they truly are the reason any of this is possible. They are constantly reassuring me that I can do anything that I put my mind to and encouraging me to do my best in everything that I do. Also, I'd like to thank my videographer for taking the time and effort to create my edit. Perris Benegas HD Edit from Ricardo Cruz on Vimeo. 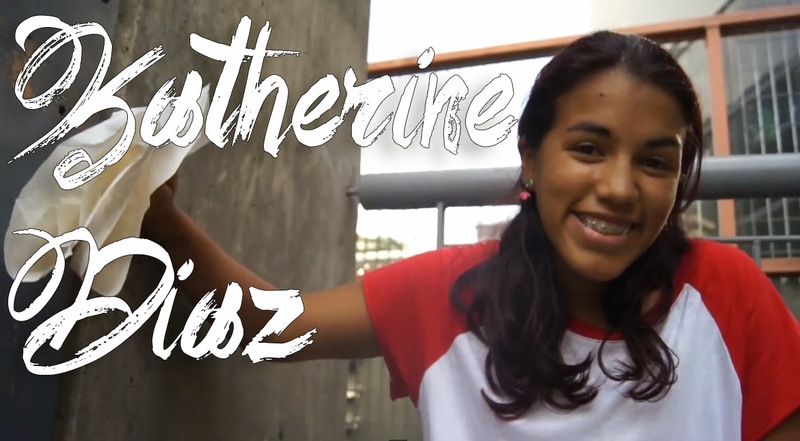 From Ride BMX : Whoa, this girl kills it! The crash montage at the beginning of this totally threw me off! I really wasn’t expecting much, and then BAM, Perris goes charging at a hip and roast the hell out of it. Literally an audible “oh sh*t” came out of my mouth. The edit just kept getting better after that! 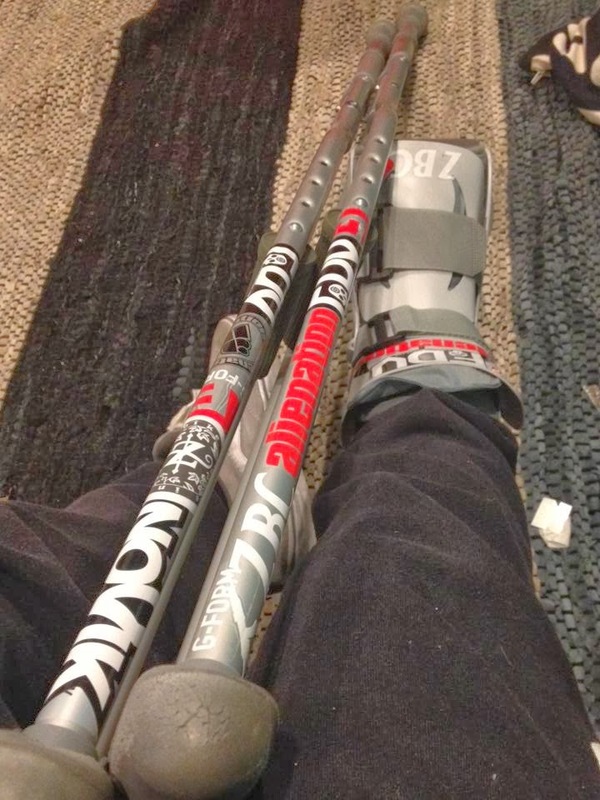 Wishing Nikita A Speedy Recovery! Had to trade the whip in for these for a bit, but we're already dialed in, and still repping! Shoutout to Alienation Inc., ZORG BIKE CO, G-Form and Novik Gloves for always keeping me rolling! We’re super stoked to announce that, Kayley Ashworth, one of the raddest women in BMX has joined our family! In a BMX world dominated by guys we’re proud to have Kayley on our team for 2014. As well as being Kayley’s bike sponsor, Diamondback are also be supplying a number of bikes for Kayley’s girl’s bmx advocacy program, she will be touring skate parks & teaching females of all ages how to get out & ride on a BMX, which is something we fully support. 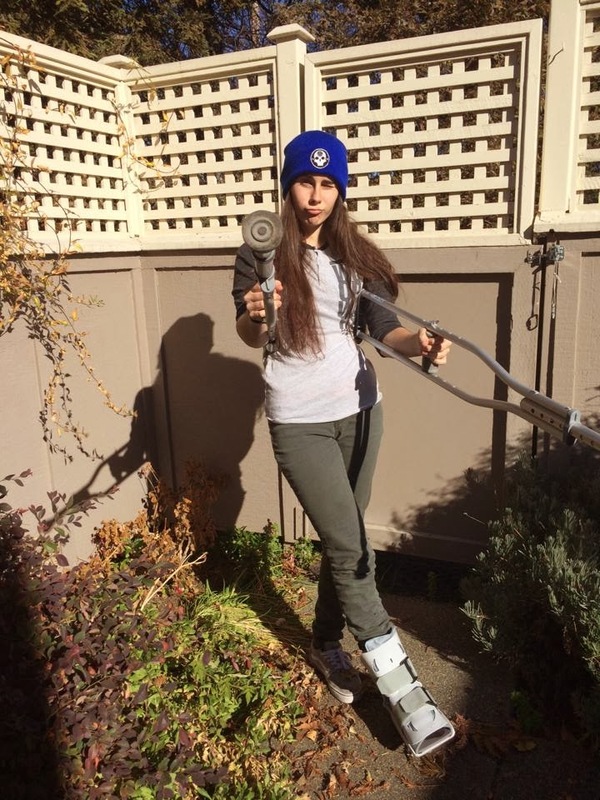 Kayley is currently recovering from wrist surgery, so once she’s healed; a welcome edit is down to be filmed. — with Kayley Ashworth at The Asylum Skatepark. 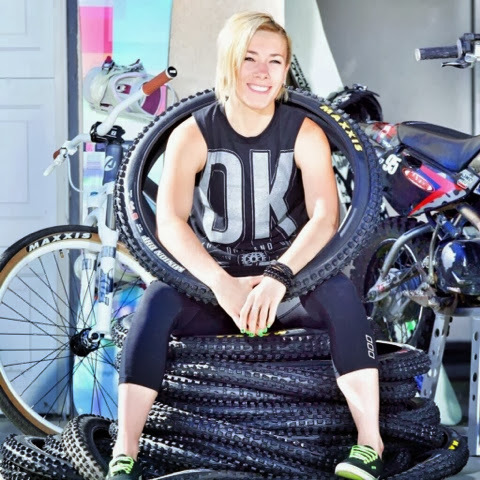 Looks like 2014 is starting off right with Caroline Buchanan signing with Maxxis tires for both BMX and MTB.